Guzzling super-cold liquid hydrogen and liquid oxygen at a rate of 705 pounds (320 kilograms) per second, the Vulcain 2 engine fired for nine minutes before the core stage dropped away to fall back into Earth’s atmosphere. The Ariane 5’s upper stage Aestus engine fired moments later, burning nearly 11 minutes to reach an elliptical transfer orbit ranging more than 14,000 miles (nearly 23,000 kilometers) above Earth. After a three-hour coast, the Aestus engine reignited for more than six minutes, reshaping its orbit to reach a circular path around the planet. Telemetry radioed from the rocket to launch controllers in French Guiana indicated the four 1,576-pound (715-kilogram) Galileo satellites separated from their carrier module in two pairs, spaced 20 minutes apart, as intended. A separate control team in Toulouse, France, took charge of the satellites soon after separation from the Ariane 5 rocket. Engineers there confirmed all four spacecraft were healthy after unfurling their power-generating solar panels, following a planned post-launch activation sequence. 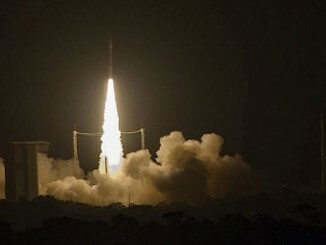 Officials declared the launch a success, giving Europe’s Galileo navigation fleet 26 satellites, including 22 craft launched in the last four years. The 26 Galileo satellites launched to date rode seven Soyuz boosters and three Ariane 5 rockets into orbit, completing the program’s initial deployment in space. 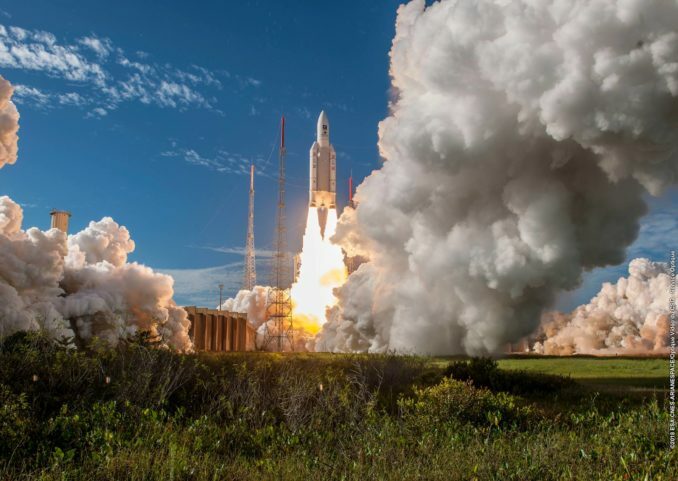 Wednesday’s mission was the last flight of the Ariane 5 ES version of Europe’s workhorse launcher. All future Ariane 5 launches will use the Ariane 5 ECA configuration, the most commonly-used variant of the European rocket. The difference between the two variants is the Ariane 5 ECA flies with a hydrogen-fueled HM7B upper stage engine, which can only be ignited once in space. 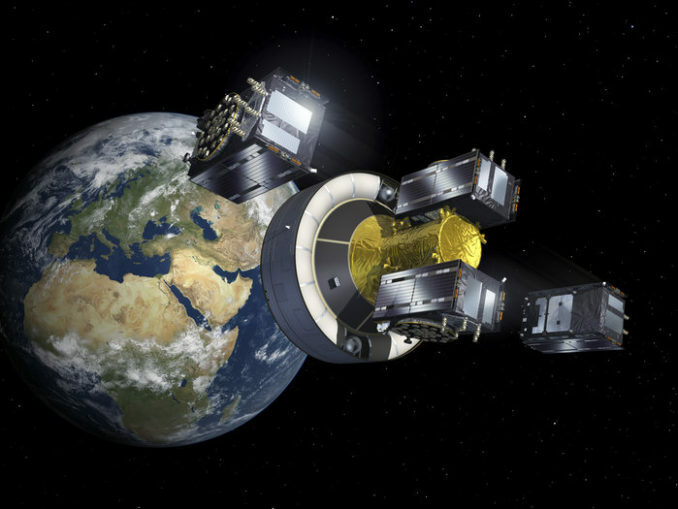 Missions such as Galileo satellite deployments require multiple upper stage engine firings, while most commercial satellite launches only need one. Ariane Group, the prime contractor for the Ariane rocket family and parent company of Arianespace, is developing a new engine named Vinci for Europe’s next-generation Ariane 6 rocket. The Vinci is designed to be reignited in space. Paul Verhoef, director of navigation at the European Space Agency, said the Galileo network remains on track for full operational capability in 2020, a milestone further cemented with Wednesday’s successful launch. ESA is a technical and procurement agent on the Galileo program, which is managed by the European Commission, the executive arm of the European Union. The program is projected to cost EU member states 10 billion euros ($11.7 billion) from its inception through 2020, according to the European Commission. 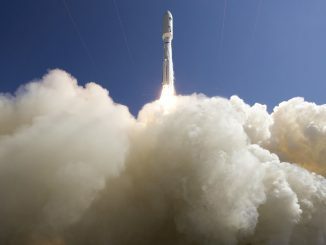 The satellites launched Wednesday are the last of a second batch of navigation platforms ordered from OHB of Germany, which builds the spacecraft, and British-based SSTL, provider of the navigation payloads. 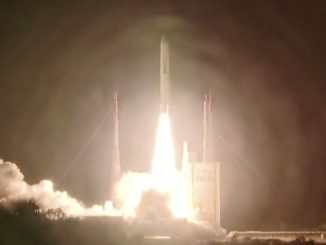 Officials said the addition of the four satellites launched Wednesday — along with the eventual incorporation of two Galileo spacecraft launched into an incorrect orbit in 2014 and the activation of Galileo’s ground systems — should allow the European Commission to declare the network ready for full operations in 2020. 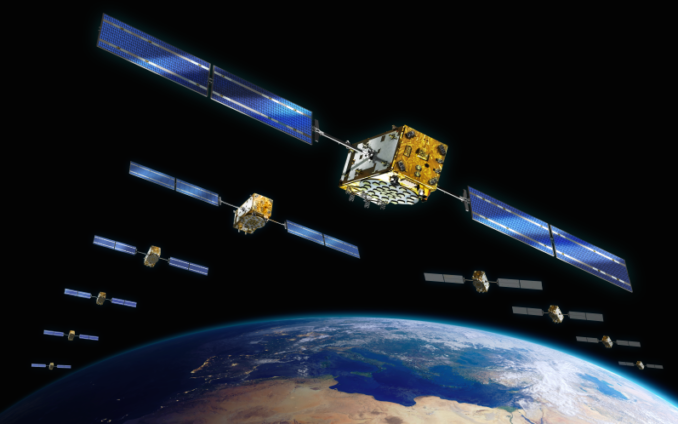 “Not only is the Galileo performance promised to be very good, it is very good,” said Rodrigo da Costa, Galileo services program manager at the European Global Navigation Satellite Systems Agency, or GSA. “Seven years on, we have 26 satellites in orbit,” said Jean-Yves Le Gall, president of CNES, the French space agency. “We’ve got a system that’s becoming the best in the world. We’re talking about 400 million users. The numbers are constantly increasing. Most new smartphones incorporate Galileo data alongside GPS signals in their navigation apps, and more cars are equipped with Galileo-compatible navigation systems each year, officials said. The combination of GPS and Galileo signals provider users with more accurate position and time fixes than possible with a single network. Galileo’s full operational capability milestone planned for 2020 will come when the “the constellation is complete, fully operational, with all the ground segment,” Verhoef said. The four satellites launched Wednesday are nicknamed Anna, Ellen, Samuel and Tara, the names of children who won a European Commission painting competition. Verhoef said engineers have resolved a problem that caused multiple atomic clocks to fail on some of the older Galileo navigation satellites. None of the clock failures have affected any satellite’s navigation capability, but some spacecraft lost redundancy in their navigation payloads. “The clocks on the ground were repaired, and the ones on order were rectified, and we had to take a number of operational measures on the clocks in orbit,” Verhoef said, declining to provide details on the corrective actions during a pre-launch conference call with reporters. Arianespace’s next mission is scheduled for liftoff Aug. 21, when a light-class solid-fueled Vega launcher will send ESA’s Aeolus Earth science satellite into orbit to measure global wind profiles. That will be followed by another Ariane 5 mission — the 100th Ariane 5 launch — on Sept. 5 with two commercial communications satellites.